Following an open call for contributions, on 29 February 2016, UNPO submitted a paper to the Human Rights Council’s Expert Mechanism on the Rights of Indigenous Peoples, which is conducting a study on the right to health and indigenous peoples, with a focus on children and youth. UNPO’s contribution highlights the role of the laws established after the 1994 Rwandan genocide, which make it illegal to identify as indigenous and more in general to speak about ethnicities in the country. These regulations, adopted to foster a feeling of unity within the Rwandan population, make it very difficult to help the small, scattered and extremely poor Batwa community in a comprehensive and efficient manner. The study will be presented in September 2016 during the Human Rights Council’s 33rd session. UNPO’s submission, prepared thanks to the information acquired by UNPO during its numerous fact-finding missions in Rwanda, as well as thanks to the cooperation with partner organisations representing or working for the Batwa community, highlights the health issues faced by the community, particularly concerning in respect to children and youth. Most Batwa settlements are in extremely poor conditions and located in rural areas, far away from the country’s largest cities. 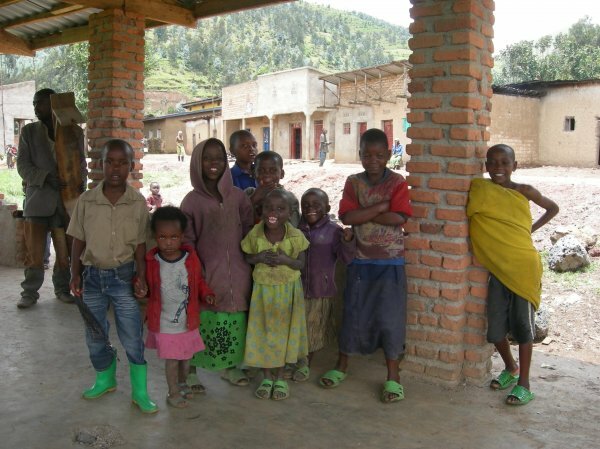 Consequently, most Batwa are very far from major health facilities and not exposed to any health education. In any case, even when hospitals or small medical centres are not far away, most members of the community lack the health insurance needed to receive assistance. Moreover, the submission emphasises the fact that, despite all these bans on ethnic identification, there is still a clear and historically engraved discrimination in Rwandan society towards the Batwa. This is very significant in the health sector, and gets to the point of influencing the attitude of doctors or even nurses towards this indigenous group. Furthermore, health is intrinsically linked to living conditions. Due to the Batwa’s origins in the equatorial forests of the Great Lakes region of Central and Eastern Africa, the formation of the current Batwa settlements was not a natural one, but derived from a series of forceful relocations. This has lead to a number of widespread problems such as: lack of hygiene, malnutrition, and illiteracy. In addition to this, the submission highlights the clear absence of education in areas such as nutrition, sexuality and personal hygiene, which has a number of consequences on this indigenous community. Phenomena such as a high number of unwanted pregnancies, an increase in childbirth complications and high rates of child mortality due to diarrhoea are clearly related to it. v. Ensure that data collected about distribution of materials and management of poverty reduction projects is disaggregated along ethnic lines to ensure that Batwa can benefit from specifically targeted programmes. You can download UNPO’s submission here.